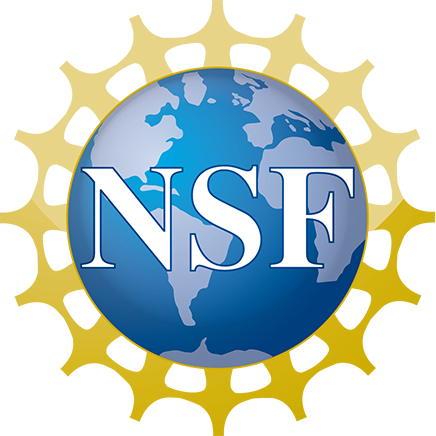 Knowledge graph refinement is often a time consuming process due to the lack of domain knowledge and automatic tools to support maintainers to detect erroneous information. A number of studies have investigated the quality of popular knowledge graphs. However, few tools have been developed to support measuring the accuracy of triples (source triples) in a knowledge graph. 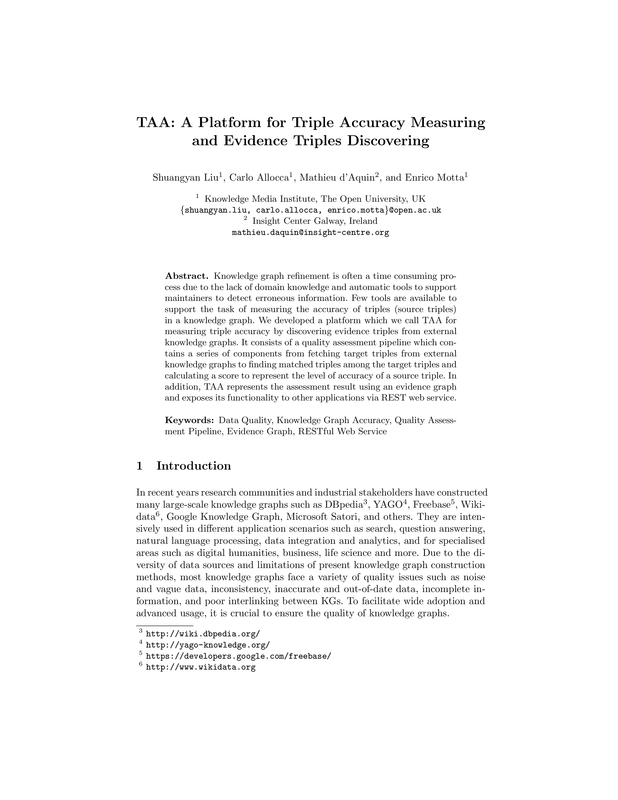 Therefore, we propose TAA, a platform for measuring the accuracy of triples by discovering evidence triples from external knowledge graphs. In TAA, a quality assessment pipeline is developed to contain a series of components from fetching target triples from external knowledge graphs to finding matched triples among the target triples and generating a score to represent the level of accuracy of a source triple. Compared to similar solutions, TAA utilises external knowledge graphs to find evidence, exposes its functionality to other applications via REST web service, and represents the assessment result using an evidence graph.